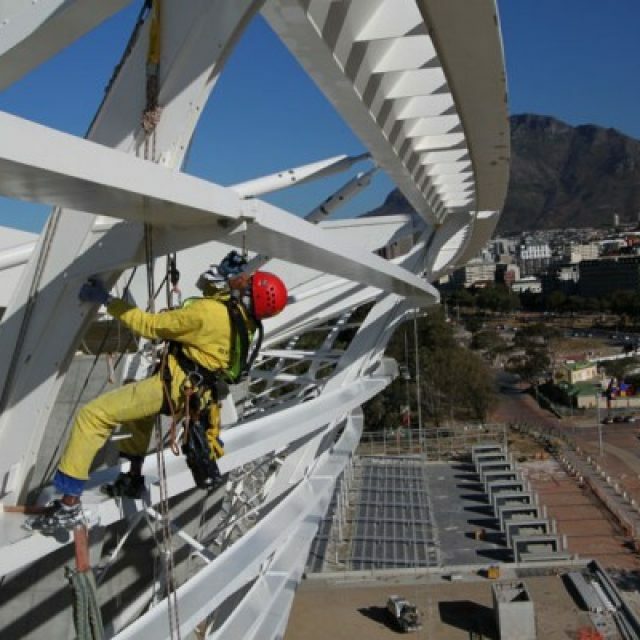 Scope of Work: Nelson Mandela Bay 2010 World Cup Stadium: Assistance with safety supervision and training of roofing contractors. Installation of 36 x 600 square meters of PTFE roof membranes, rigging and lifting of lighting, installation of cable trays, service ducts and plumbing. Crew-size of approximately 100 rope technicians were present for 6 months on contract. Benefits: Quick supply of highly skilled crew who are able and willing to learn new skills and provide a quality service with no injuries on site. 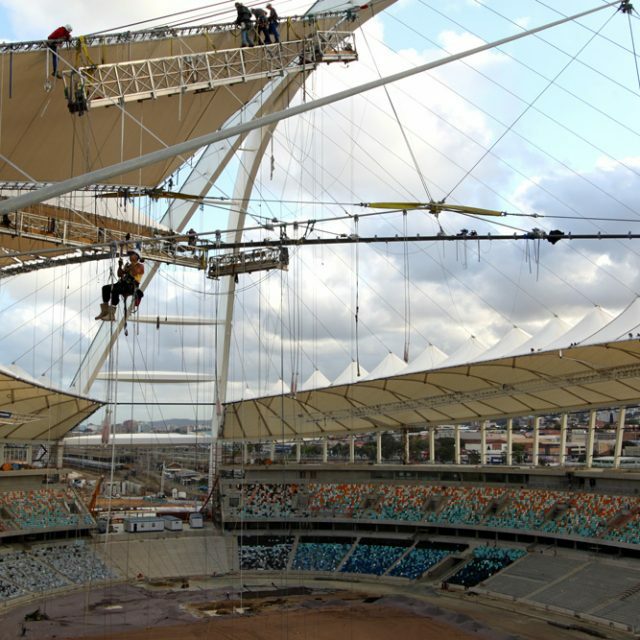 Scope of Work: Moses Mabhida Stadium: Installation of tensioned fabric to the roof structure.Crew-size of approximately 50 rope technicians were present for 6 months on contract. Crew-size of approximately 50 rope technicians were present for 6 months on contract. Benefits: Quick supply of highly skilled crew who are able and willing to learn new skills and provide a quality service with no injuries on site.